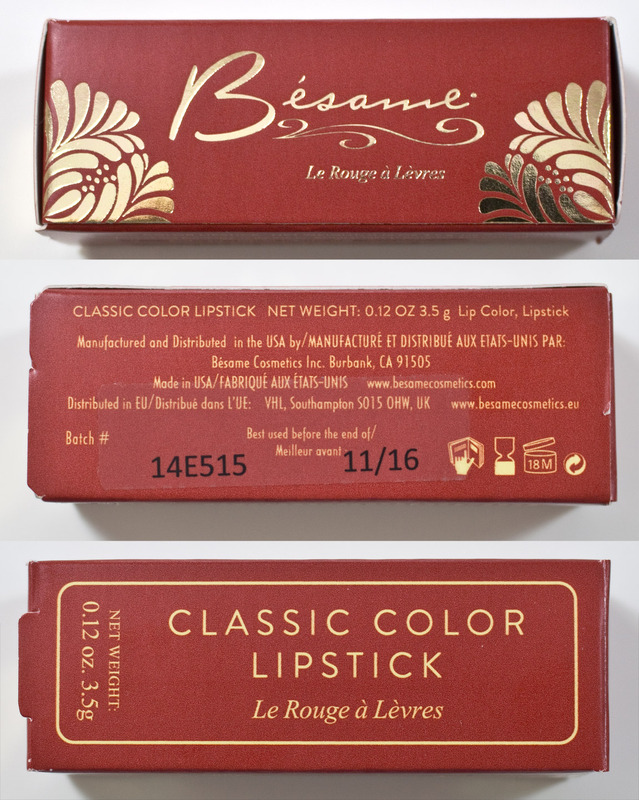 Bésame Cosmetics Classic Color Lipstick in Cherry Red 1935 (C210) retail for $22US or $27CAN for 0.12 oz 3.5g of product. 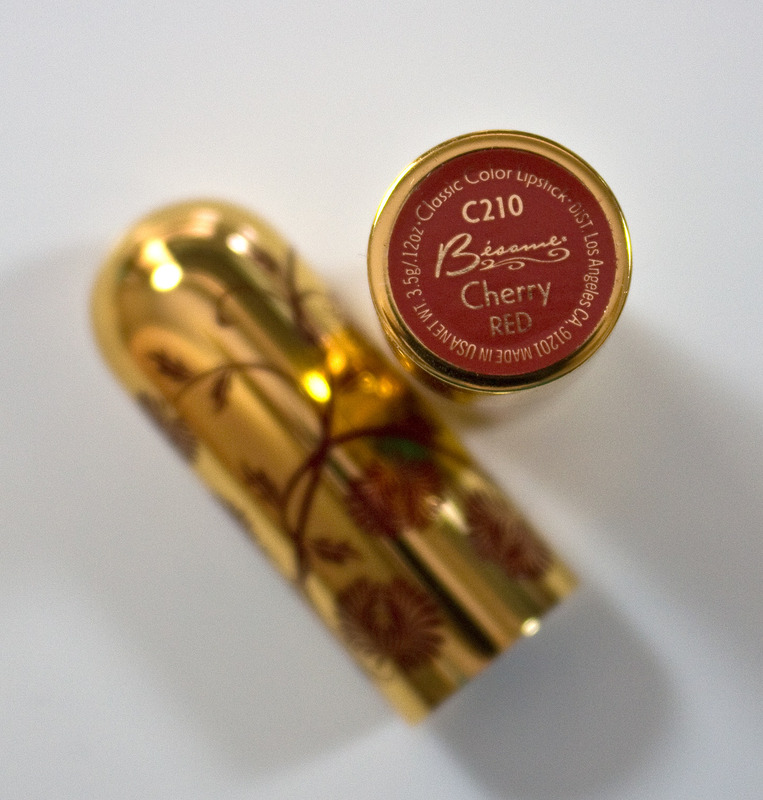 This is actually a touch more product in this than most standard lipsticks at 3g of product as well. Bésame Cosmetics Classic Color Lipstick in Cherry Red 1935 (C210) ingredients. Cherry Red 1935 is described as a deep, rich ripe cherry, for me the shade leans more blue based than that but it's a very vintage red which is what I was hoping for. The formula is what I call super matte but not drying. I can slightly tug on the lips but it doesn't feel drying to me and feel slightly cushioned on the lips as well. 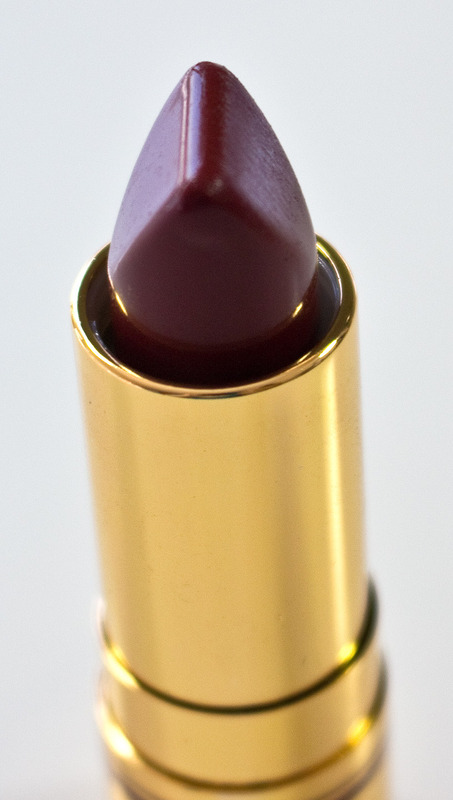 the finish does dry down to more of a matte finish through the day but for the first hour or so it has a very subtle dewiness to the lips. 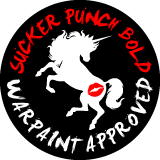 I find that using any lip brush is my preferred method of applying this just because you need that clean line with deep reds. Wear: Close to 6 hours of wear before slight fading occurs. 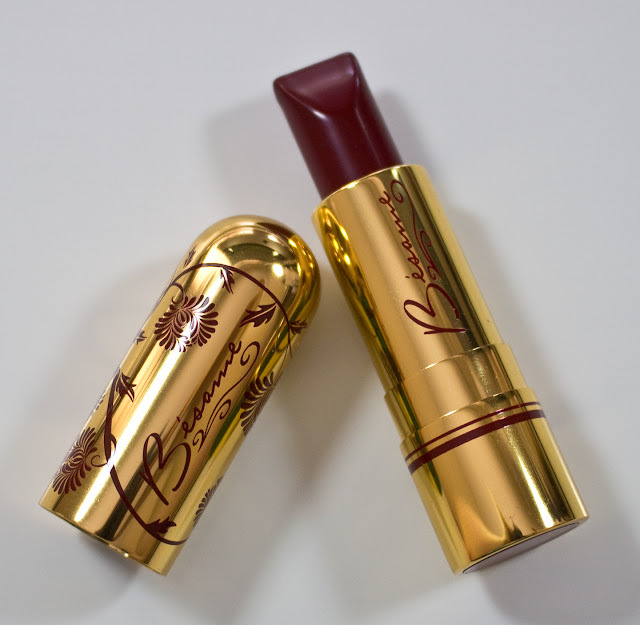 Packaging: Gold round bullet tube with the Bésame flowers in red and is a touch shorter but 1cm than most lipstick bullets on the market giving it that vintage size feel. The closure also has a nice and tight snap. 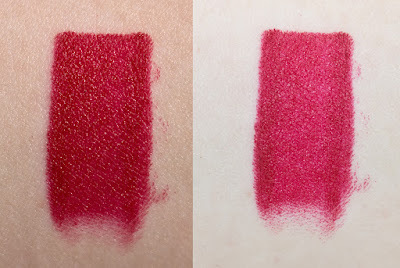 I love this shade but I hope Sephora get more of the colours in than just the red family.